Wormtown Landscaping & Lawn Care provides the the most affordable residential and commercial landscape design/installation in Leominster, Massachusetts. We offer the highest quality services at the lowest price in the area. Wormtown Landscaping and Lawn Care never sacrifices quality. For over 10 years our company has been helping homeowners and business owners alike beautify their property and add a touch of aesthetic appeal to landscapes in Leominster, Massachusetts and adjoining communities. Wormtown Landscaping & Lawn Care is the #1 Source for Landscaping & Lawn Care in Leominster, Massachusetts (MA). As Leominster's most trusted landscape contractor, Wormtown Landscaping pride themselves on offering the finest, top-notch products and services and exceeding the customers' expectations on every project as a "rule of thumb". We offer fast service at the best price... every time! 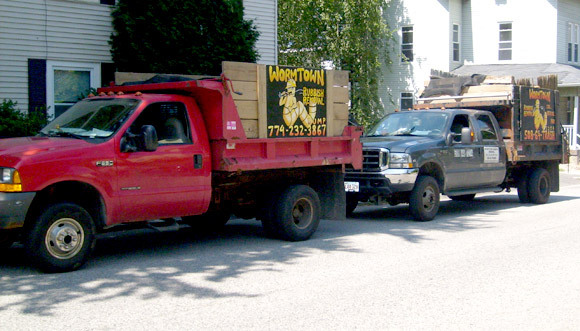 Wormtown Landscaping & Lawn Care offers the cheapest, most affordable residential and commercial landscaping services in Leominster, Massachusetts (MA). From a small yard to a large business complex, Wormtown can handle even the most difficult of projects and offers online discount coupons for 10% Off all services for seniors. Give Wormtown Landscape & Lawn Care in Leominster, Massachusetts today!